Higher education is one of the surest pathways to achieving a better life in the United States. However, starting a postsecondary program is not enough. In order to reap the full benefits of attending college, you need to graduate. 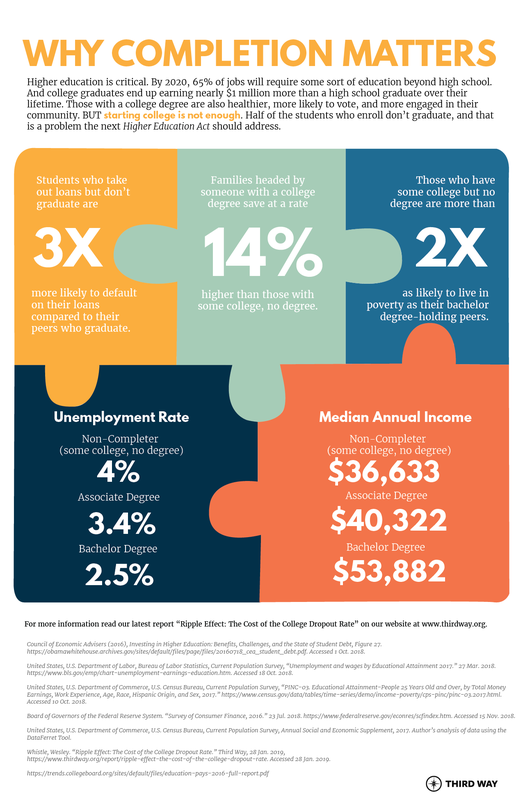 Unfortunately, our country has a completion crisis where half of students who enroll don’t finish, and students should have better odds than a coin toss in completing their degree. That is why completion matters, and when Congress reauthorizes the Higher Education Act they must prioritize improving student outcomes.